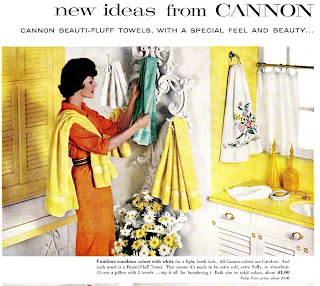 I am a girl that loves a quality cotton towel. 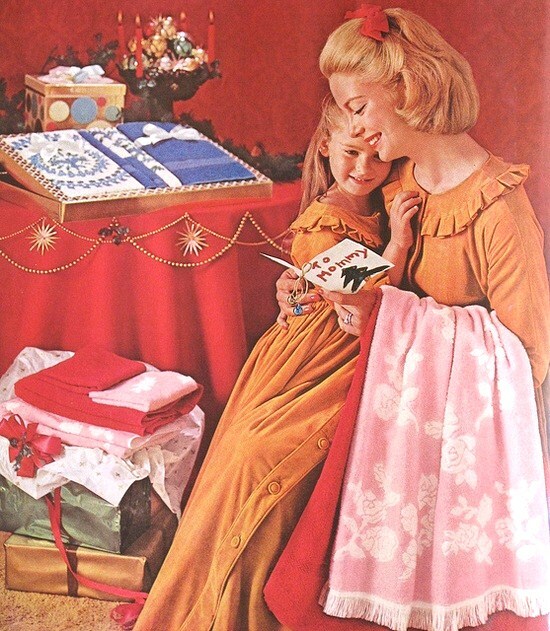 Especially in beautiful bold colors! 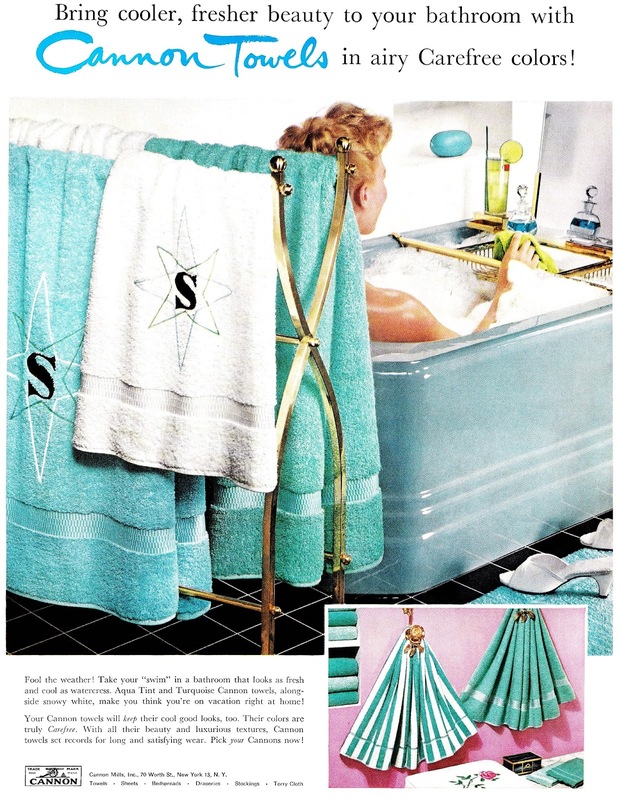 I saw this vintage advertisement with the turquoise Cannon towels... and fell in love. 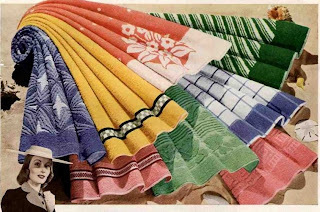 I have been recently been looking at new towels, for my bathroom. And I am going to be honest. I have not been impress with the quality, I am encountering. I want a great nap on my towels. I want a 100% cotton towel. And what I am seeing is just lacking. 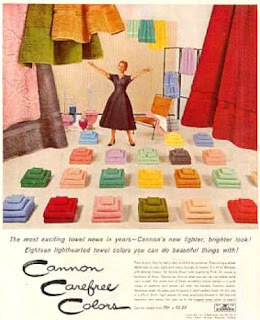 Plus I have harped on this before... but cotton towels are not what they used to be. At all. Plus I am not exactly loving the options in colors for new towels either. I wanted to buy towels with a little "pop" in their looks. So as I got online to look and see what I could find to purchase. 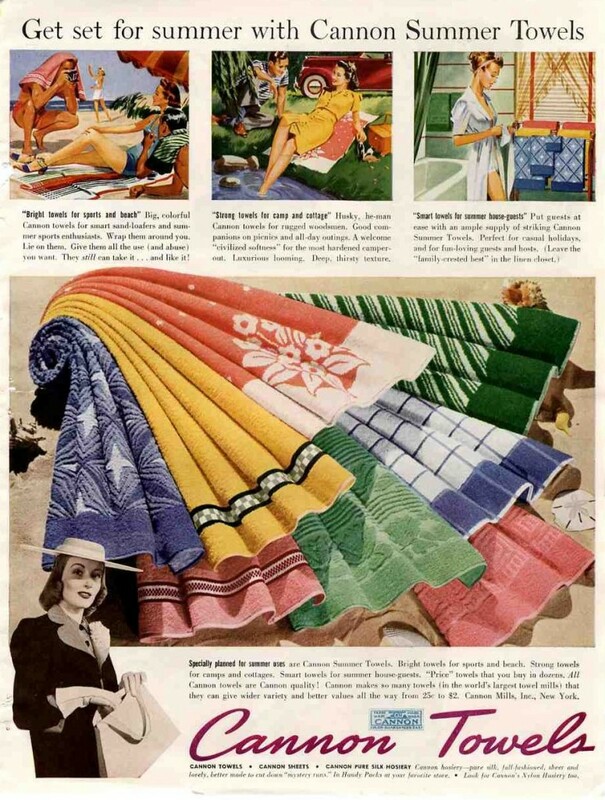 I ran across these vintage advertisements for towels. 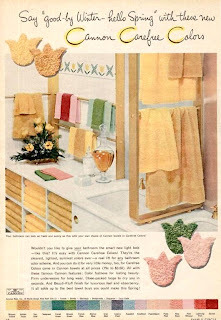 Where of course, I saw many towels I would love to have in my bathroom. 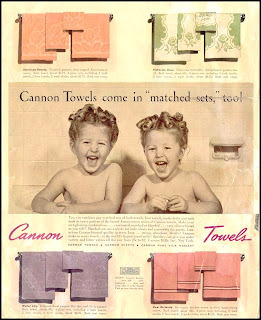 Even in the 1940's Cannon offered Lilac and Pink color towels for your bathroom. 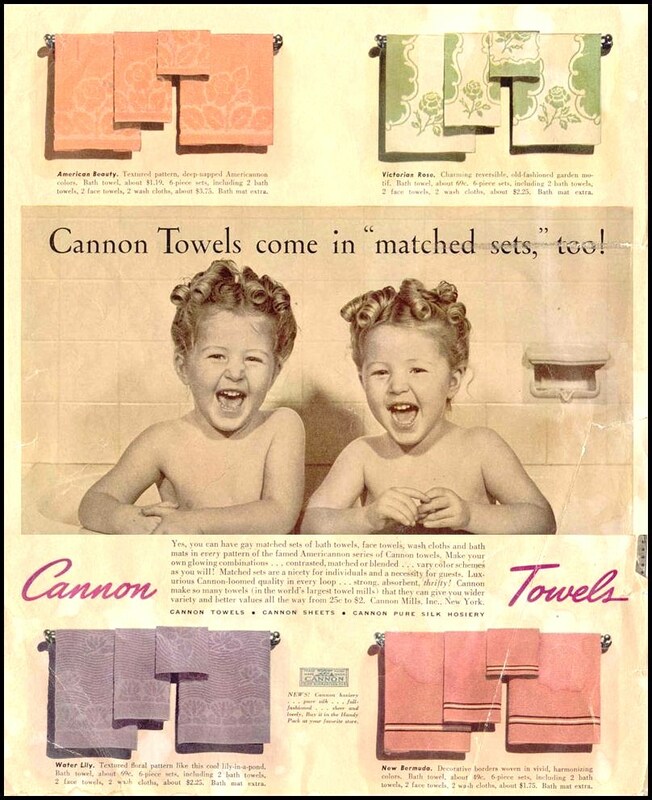 Plus that is just a cute ad in general! More great Cannon towels in fantastic colors!